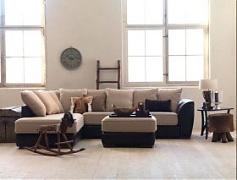 Scapa Baltic, a Swedish-owned Lithuanian company that manufactures soft leather and tapestry furniture for the Scandinavian market, posted 36.176 mln euros in revenue for the last financial year, up 1.5% from 35.651 mln euros a year earlier, writes LETA/BNS. The average price of electricity in Nord Pool Spot's Lithuanian bidding area rose by 12 percent last week from a week earlier to 40.9 euros per megawatt-hour as a cold snap boosted power demand, Litgrid said LETA/BNS on Monday. Residents of Latvia have to spend larger part of their monthly income in taxes than residents of Lithuania or Estonia, as Swedbank Institute of Finances informed LETA. Benetti is a modern legend of shipbuilding, the company that manufactures the products that became a benchmark of quality and style. With respect to the level of comfort, ships manufactured by the company are comparable to the best rooms of luxury hotels. British Home Office has begun to send notifications to immigrants that they will be sent home if they do not have a registered residence or a job in Britain, LNT television reported on Sunday. The Latvian economy showed a subdued growth of 1.6% in 2016, according to the Winter 2017 Economic Forecast released by the European Commission reports LETA. Estonia ran a current account surplus of 65 million euros in December 2016, a flash estimate published by the Bank of Estonia on Monday indicates.